Harini Ramachandran – Break free! And the question that’s ringing loud in my head is – WHO said so? HOW do you know it’s going to be a long, painful process and that too, so surely, that! And oh how oh how do you know he’s going to learn quickly BECAUSE he’s young! There are tons and tons of such beliefs floating around and people who believe in such beliefs do so, with so much conviction, as if that’s how the Universe functions. There was someone I knew that believed you have to work very very hard to do well in life. Hard work is everything. Without hard work & struggle, one can’t get anywhere. And truly that, if you look at his life, he had to indeed struggle, fall down, be frustrated and push himself to work even harder to taste even a droplet of success in anything he undertook. When someone believes in something so strongly, unconsciously they make it such that their life revolves around that belief. Now there could be millions of exceptions who wouldn’t have to struggle or work extra hard to be successful. Simply because they don’t hold such a belief! Yet, the believer of hardwork won’t even realize or accept the fact that there really are not just 1 or 2, but millions of people around the world who are exceptions to the lousy limiting belief that was just his/her own. How many such limiting beliefs do you have? Don’t you want to Shoot them all down and live life with some Personal Freedom? Who asked you to chain yourself with these beliefs? Yet – if we all knew how to breakfree, it would be a lot simpler! A lot of people ask me – what do you really do? What in God’s name is NLP all about? 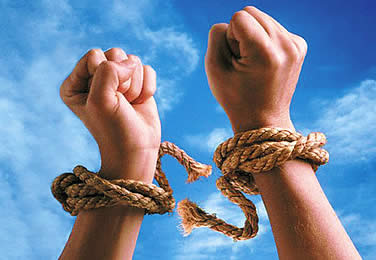 And I say to them – what I do with NLP is help people live life with Freedom! Freedom to change old behaviors, freedom to crumble and burn limiting assumptions & hallucinatory failure, freedom to learn, freedom to communicate effectively, freedom to program their own sub-conscious. 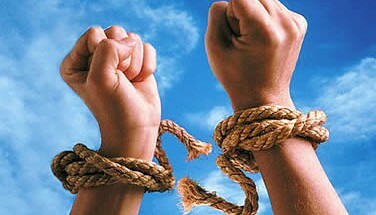 Freedom from their own limiting beliefs. Freedom to unleash their real potential and live like they’ve never lived before. Who says Excellence and Ingenuity is reserved for a select few? There are tons and tons of people we’ve helped personally quit smoking over one session… and the maximum time so far it has taken them to quit forever has been over a month to be complete smoke free! I personally know of 82 year olds who are fit as a fiddle and whose eye-sight is spot on, still. I know those who do stuff in the last minute and still are very successful – they don’t spend all their lives planning. Several times, Cats have passed by just before I was about to do something important, and nothing “bad” happened! Things went just fine! And they’re most likely to not go fine, if you believed something was not going to be fine! Now – how many such superstitions, beliefs do you have? How many things are there that you consider “impossible”? The most dangerous beliefs are the ones that you don’t even know exist! The whole basis of NLP is that “if any human being can do anything, so can you”. We see so much mediocrity floating around in the world. Some strive to really get to the top. Others try, and give up mid way. Some others don’t even aspire. And a lot of us are bounded by the belief “That’s how much I can achieve. I’m not brilliant. I can’t be as good as him/her.” Or are not even aware of how much they can possibly do by tapping their real potential! Are you going to wait all your life to Live Life the way you want? Or would you rather Hunt down and smash out those beliefs that could be limiting you from achieving your true potential? There was this young, beautiful, attractive young girl. Blessed, beautiful face. Anyone would give her a second look. Yet – she was fat. Amidst all the flesh was still some unexplainable beauty and charm that attracted every passerby. All the Fat seemed like a complete misfit on her. And she didn’t BELIEVE she could lose weight. No matter what she did, she would lose weight and put it all back on soon after. A Simple NLP map-cross is now yielding results that her 3 hours of gym and crazy diets didn’t allow for her to achieve. It all begins with your beliefs. Your conviction. If your sub-conscious mind knew a lot of beliefs you have right now are not useful to you, it wouldn’t have it in the first place. Sometimes – it’s important to Train your Intuition and teach your sub-conscious ways and methods to Constantly filter & flush out useless beliefs from your system. It’s 2012. We’re on the verge of another ravishing 2013. I sincerely call all of you – to Breakfree. Discover yourself. And Achieve. Glow. Like a Flower. Smile at world. Smile at the bees, smile at the sky and look into the mirror – Smile at yourself. Start Anew. very nice post…want to know more on how to lose weight by breaking beliefs.